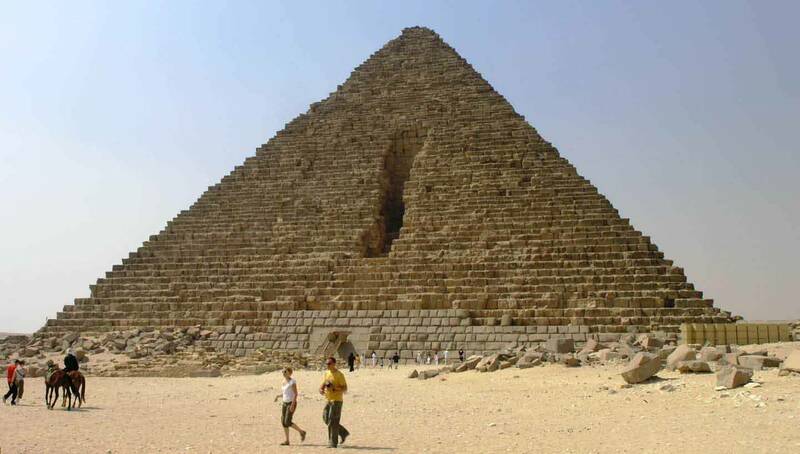 Immerse yourself in ancient Egyptian culture with a full-day tour of the pyramids and city sights from Cairo or Giza. Start the day at the Giza’s pyramids, and get sweeping views of the desert from the foot of the mysterious Sphinx. After a local lunch, take in the collections of rare artifacts at the Egyptian Museum, and see the exhibit celebrating King Tutankhamun. Finish your day browsing vibrant displays of brass, antiques and handicrafts at the iconic Khan El Khalili bazaar before returning to your hotel. At 8:00 am you will be picked-up from your hotel in Cairo or Giza by our expert tour guide and get ready for your day tour. 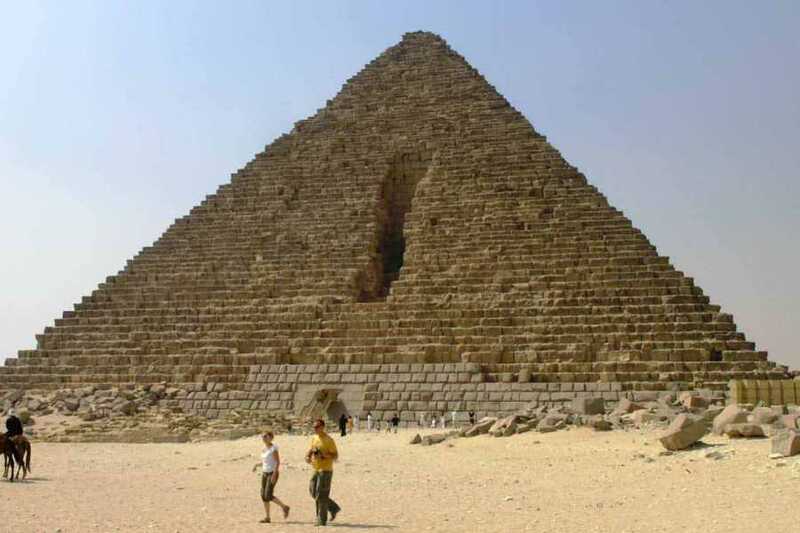 First you will visit the Giza pyramids - Cheops, Chephren & Mykerinos. After seeing the famous pyramids you can head to visit the Valley Temple. While doing that you can have a closer look at the Great Sphinx - the legendary guardian that stands by the huge funeral complex with its lion body and the head of king Chephren. Then continue your day tour to Egyptian Museum of antiquities. It displays the largest and most precious items of the Egyptian art in the world. It exhibits a rare collection of over 250,000 genuine artefacts that date as far back as 5000 years, including an exclusive exhibit dedicated to the Tutankhamen - A collection of treasures, gold, and jewellery that were buried in his tomb for over 3,500 years before they were discovered in the 1920 when his tomb was excavated. Entrance fee to the Mummies room is not included. Then you will be Passing By Tahrir Square, where the Egyptian Revolution began in 2011. Finish your day by a visit to the Khan El Khalili Bazaar. The numerous shops in this district are known for trading fine brass ware, copper, perfumes, leather, silver, gold, antiques and much more . Your tour finishes with drop-off at your hotel.